Have you ever brewed a recipe from this blog? The September 2010 issue of Brew Your Own magazine contains the first print article I've had published! 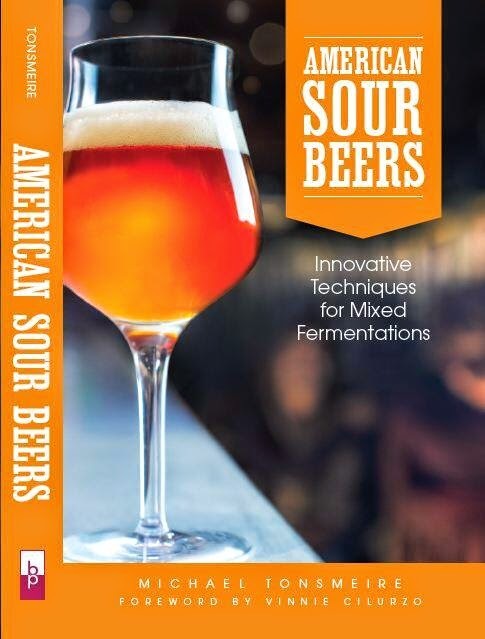 There isn't much in the article that I haven't said somewhere on Mad Fermentationist, but I collected bits of information that had been peppered across many posts into a single guide to making fruit flavored sour beers. My goal was to present the options available along with my experiences, rather than trying to give a single "best" practice. The article also includes the recipes and step-by-step instructions for brewing my Sour Cherry Flanders Red, Cabernet Berliner Weisse, and Peach Honey Wheat Sour. I'd like to give a special thanks to Alex, Nathan, Dan, and my father for giving the article both content and editorial reviews. They all helped to get what I wrote whipped into a "magazine quality piece" (i.e removed the spelling and grammatical errors that sometimes plague my writing). Chris Colby and the rest of the staff at BYO did a great job cleaning up the formatting, and adding metric equivalents for all my measurements. I'm only complaint is that the extract versions of the recipes they included called for steeping grains that need to be mashed (although in a sour it isn't that big of an issue). Submitting to a magazine was a different experience than writing a blog where I can always add, amend, correct, and expand what I have written (even years after posting). 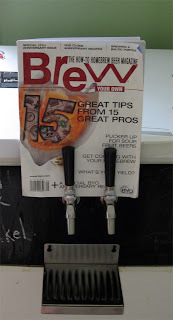 Nathan and I are working on an article on Kvass (which I have touched on before) for a future issue of BYO (I baked the rye bread Friday and we brewed Sunday), but it probably won't be published until early 2011. If anyone has any suggestions for other in depth topics you'd like to see an article (or post) on let me know. If you'd like to subscribe to BYO you can sign up using this link, and a portion of the subscription fee will go to fund this blog (the price is the same as a regular subscription). I'm going to try Paw Paw beer when my harvest comes in. I'd like to try elderberry beer. It would be good for those winter colds. I just got some elderberries from the local coop to play with, along with some other weird spice/herbs/fruits I want to play with. Good luck with the paw paws, interested to hear how that turns out. Once again, congrats brother fish. and Chris - sounds like you beat me to the paw paw beer, had that on the brain for a while now. I actually just read this article last night and was thinking that the Honey Peach Wheat recipe seemed VERY similar to yours. Now I understand why! Welcome to the BYO-published club, Mike. =) I just got this issue in the mail today (what? I live in Alaska! ), and I'm looking forward to reading your article when I get a few minutes to myself later today. Congratulations that's great news. I look forward to reading it.